I promise to you some massive Color Club swatching in the very near future but for now, let's see what they have brought us for Summer this year! Formula on these was on the sheer side but quick drying, self levelling and utterly easy to apply with a pretty decent opacity at 3 coats. 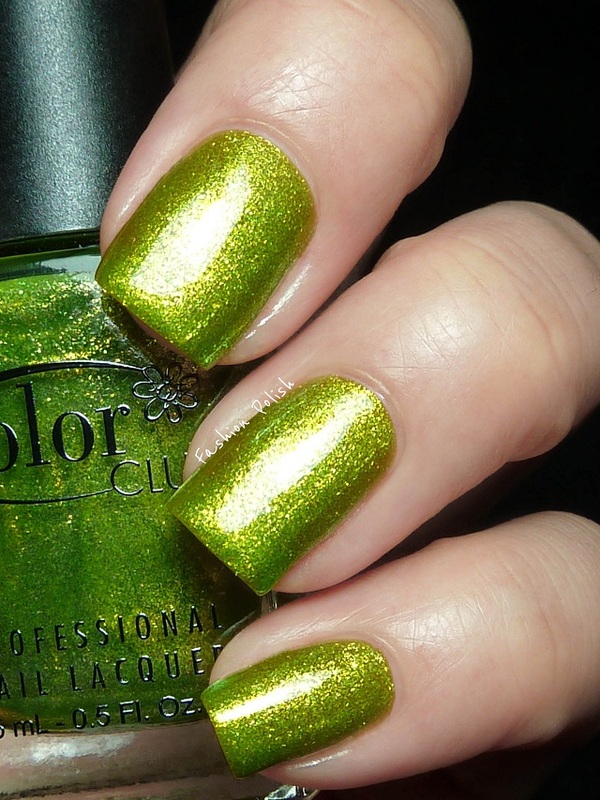 This is what I used in the swatches below, no topcoat. 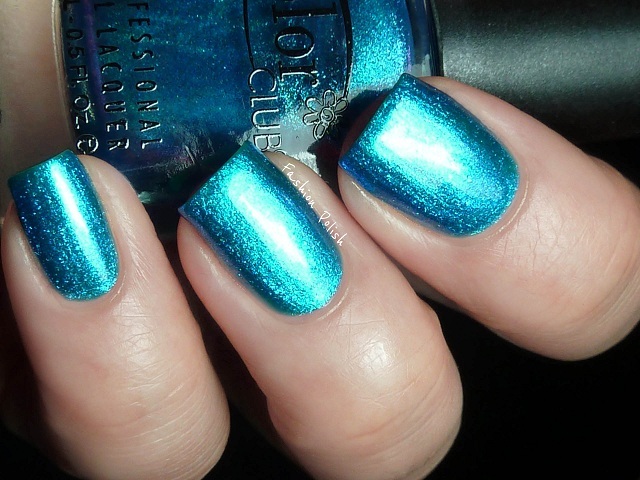 Sky High is a very bold sapphire blue with sky blue glass flecks. It could have used a fourth coat but VNL (Visible Nail Line) wasn't that obvious in real life and I must confess that 3 coats is a max for me. It's gorgeous nonetheless. Metamorphosis is a green leaning turquoise glass fleck. I would have imagined it being my favorite of the collection but wierdly it's not. It's still beautiful but just didn't take my breath away. Wing Fling is your typical blue base pink glass fleck. Still, a must have for every pink lover, it can hardly get any bolder than this! Sparkle and Soar. Ok, now we're talking! 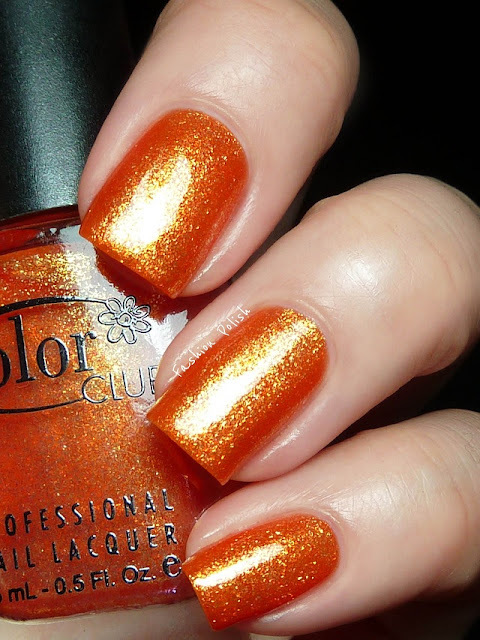 Can someone please tell me why I love all the orange polishes that have been released this year? This one's an absolute stunner! Fly With Me is an oddly complimenting Spring bud green. To my surprise, it might very well be my pick from the entire collection. I love it, original and flattering at the same time. 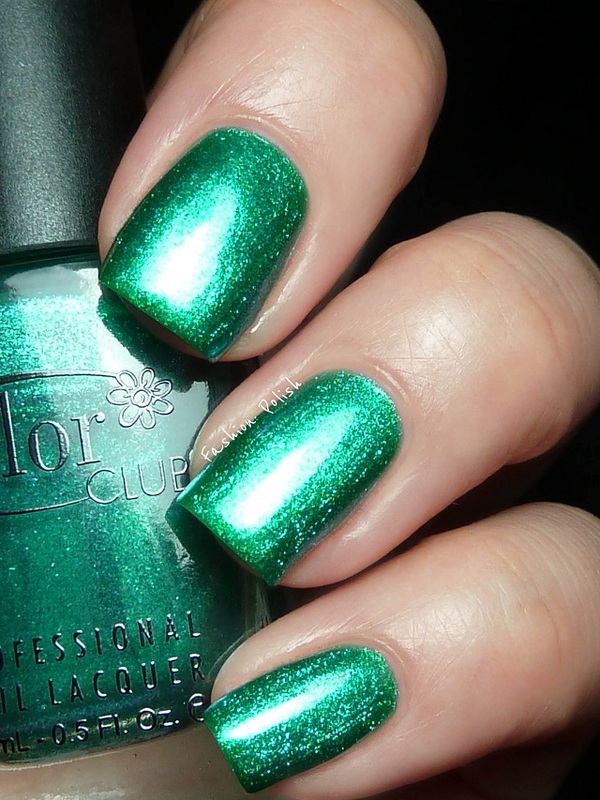 If you love green, there's no doubt you need it. 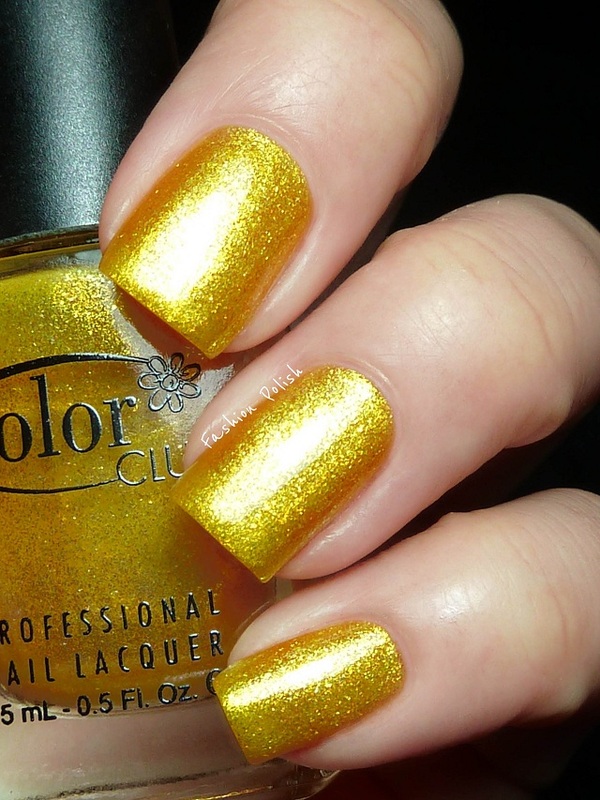 Daisy Does It is a warm yellow with gold undertones. It's much better on the nail than I would have imagined and I actually really like it. Perfect for a blazzing hot Summer day. Color Club treated us with very nice and consistent Summer collection this year but especially with 2 major wins Sparkle and Soar and Fly With Me! Wing Fling and Sparkle and Soar are so pretty!! Fly With Me it my fav of them all but Wing Fling takes a close second. I got Metamorphosis, and I love Sky High. It looks gorgeous on you! Wow! That orange is stunning! Oh my what a great summer collection! Never been interested in this brand. Just to make you look so interesting. Excellent manicure! 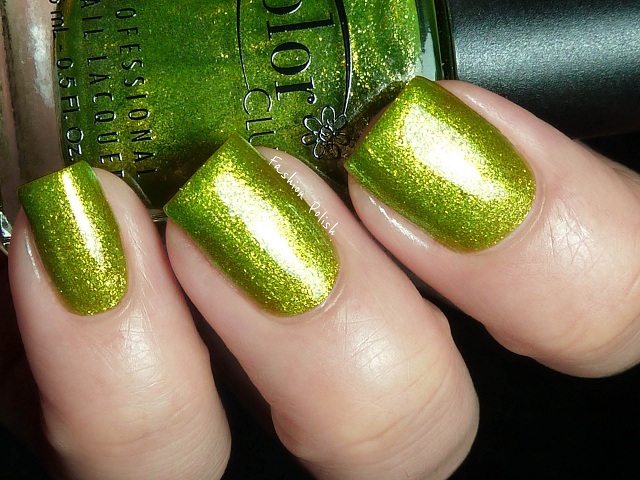 they are fabulous, the first one reminds me of Rimmel London "Green with envy"
I love that these are almost too shiny for your camera to handle! If anyone knows of anywhere in the UK I can purchase Color Club it would be much appreciated!